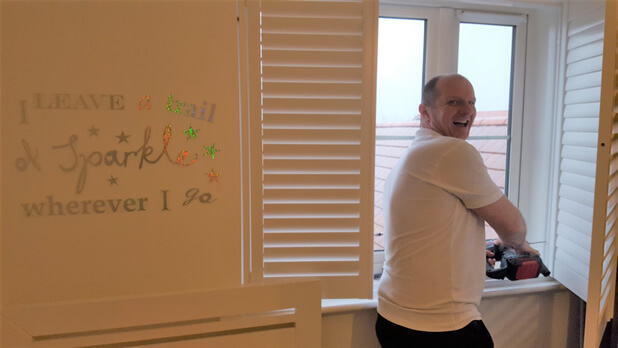 Mark was in Pevensey, East Sussex at the home of a customer who was looking to kit out their home with some of our shutters. 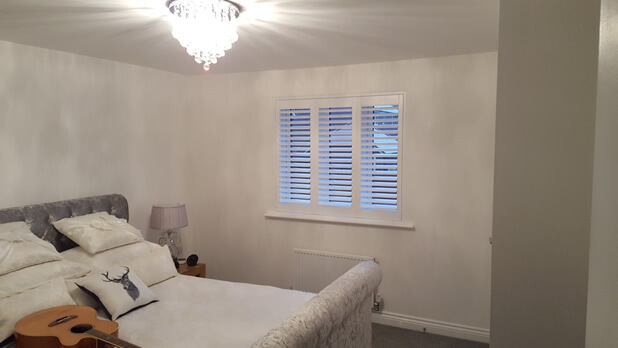 Living in a new build home they were keen to modernise the property even more by putting some of our shutters throughout the rooms including the lounge, dining room and bedrooms. 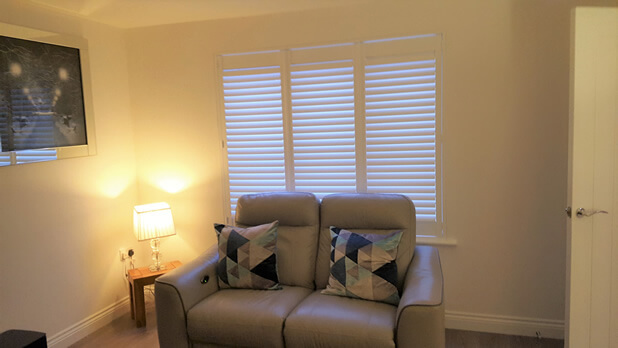 They felt that curtains were more intrusive in the rooms than shutters and loved the look and flexibility that can be gained. 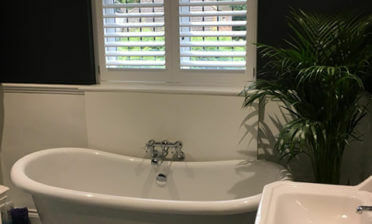 Our plantation shutters offer the best in looks and functionality and in a home like this create a clean, modern appearance in the interior and from the exterior. 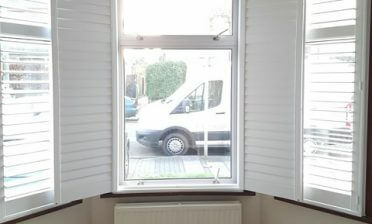 They sit flush against the windows and create the feeling of more space and less clutter. The ease of adjustment means that all rooms can benefit from better levels of lighting and privacy. 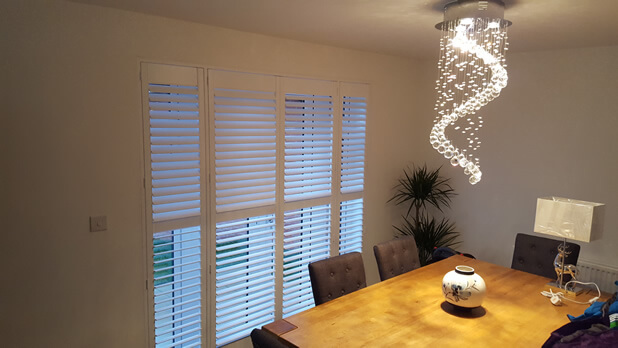 Throughout the home we fitted full height shutters, with window shutters in the lounge and bedroom and then patio door shutters in the dining room area. 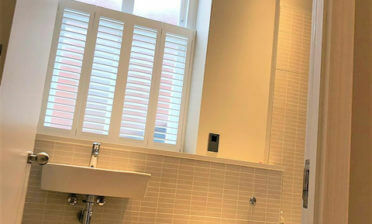 All shutters were created with the same design and finishing to seamlessly blend throughout the property. The patio door shutters were created to match the lines of the patio doors behind with the use of two T-posts to mirror the structure of the window panes on either side of the doors. 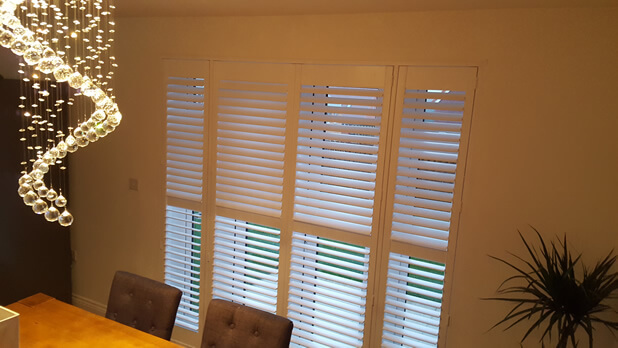 These shutters can be flung open in the better weather to allow full access to the patio doors behind and then fully closed up whenever needed to create a warm and private room. 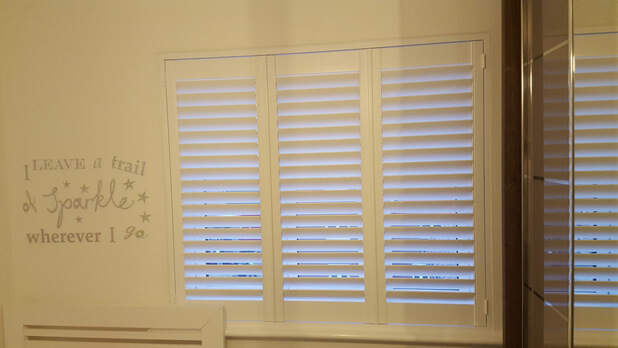 All the shutters were created using MDF from our Antigua Range which look fantastic in pure white with the matching white hinges. Overall the look of the property was transformed creating the ultimate living spaces for the occupants and helping to further add functionality and value to this modern home.